I was extremely impressed by the eloquent surroundings, and the pool overlooking the rainforest was mesmerising! I couldn't wait to join the other guests lounging around and enjoying the warm sunshine. It was my first time having my very own private pool and it blew my mind! As I was shown around the features of the room I couldn't stop saying, "Oh my God" and "Wow!" To the right was another lovely surprise, a beautiful white ceramic bath filled with fresh petals - I couldn't wait to have my first flower bath! It was set with a view of the pool if you chose to have the blinds up, to make it an ultimate relaxing experience. 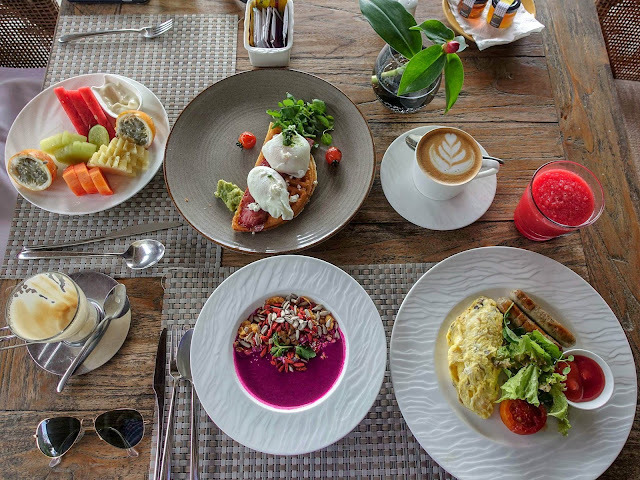 Goya is a resort that has it all; so you don't ever have to leave if you don't want to. From a traditional Balinese massage to hot stone, aromatherapy and acupressure, there is something to suit everyone's needs and wants. There are a range of luxurious spa packages to indulge in. 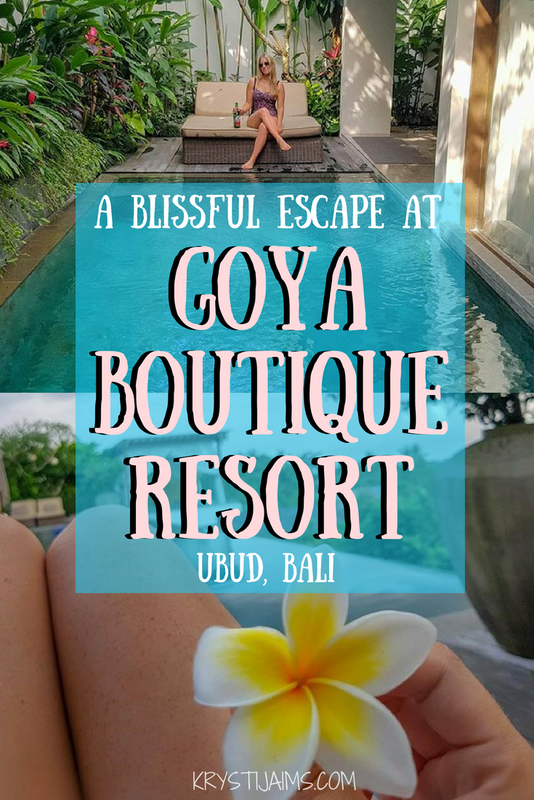 I absolutely loved my stay at Goya Boutique Resort and wished I didn't ever have to leave! 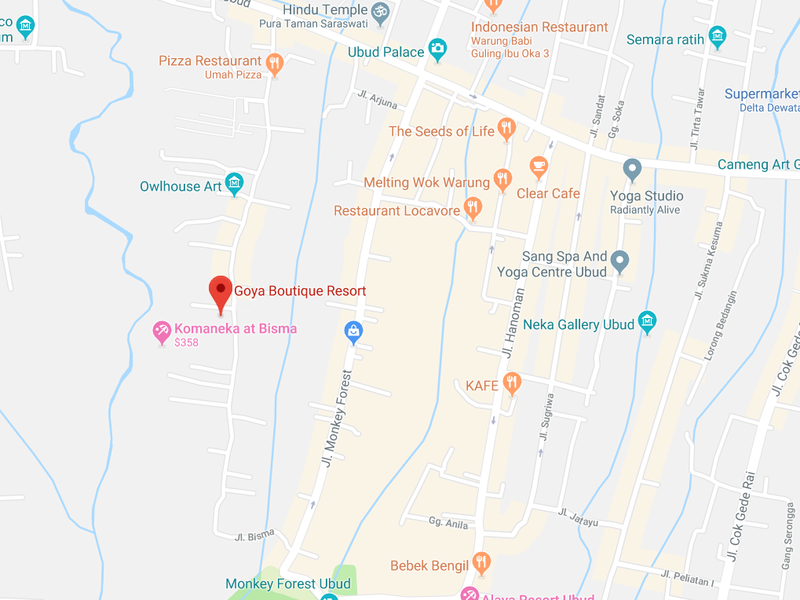 Goya is without a doubt, my favourite place I've ever stayed at in Bali and it was a highlight of my recent two-weeks there.